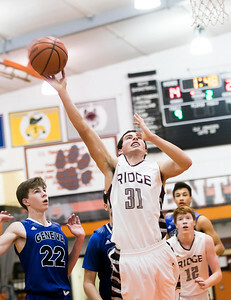 Sarah Nader- snader@shawmedia.com Prairie Ridge's Brian Dorn shoots a basket during the second quarter of Friday's game against Geneva at the Crystal Lake Central Thanksgiving Tournament Nov. 25, 2016. Geneva won, 51-42. Sarah Nader- snader@shawmedia.com Prairie Ridge's Joseph Hansen (center) tries to grab the rebound during the second quarter of Friday's game against Geneva at the Crystal Lake Central Thanksgiving Tournament Nov. 25, 2016. Geneva won, 51-42. 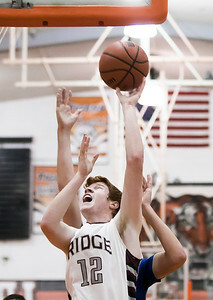 Sarah Nader- snader@shawmedia.com Prairie Ridge;s Matthew Hoyland shoots a basket during the second quarter of Friday's game against Geneva at the Crystal Lake Central Thanksgiving Tournament Nov. 25, 2016. Geneva won, 51-42. Sarah Nader- snader@shawmedia.com Prairie Ridge's Connor Kazin dribbles the ball towards the basket during the second quarter of Friday's game against Geneva at the Crystal Lake Central Thanksgiving Tournament Nov. 25, 2016. 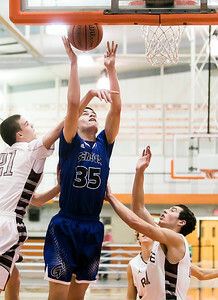 Geneva won, 51-42. 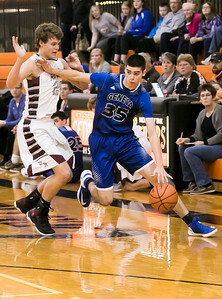 Sarah Nader- snader@shawmedia.com Prairie Ridge's Kyle Loeding 9left) guards Geneva's Cole Navigato while he dribbles towards the basket during the first quarter of Friday's game at the Crystal Lake Central Thanksgiving Tournament Nov. 25, 2016. Geneva won, 51-42. Sarah Nader- snader@shawmedia.com Geneva's Cole Navigato (center) shoots a basket during the first quarter of Friday's game against Prairie Ridge at the Crystal Lake Central Thanksgiving Tournament Nov. 25, 2016. Geneva won, 51-42. 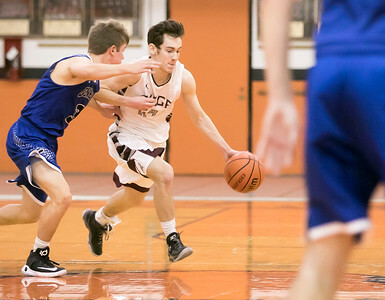 Geneva's Cole Navigato (center) shoots a basket during the first quarter of Friday's game against Prairie Ridge at the Crystal Lake Central Thanksgiving Tournament Nov. 25, 2016. 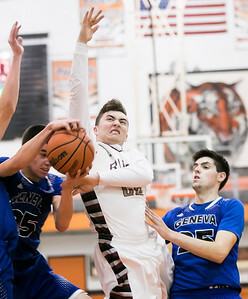 Geneva won, 51-42.